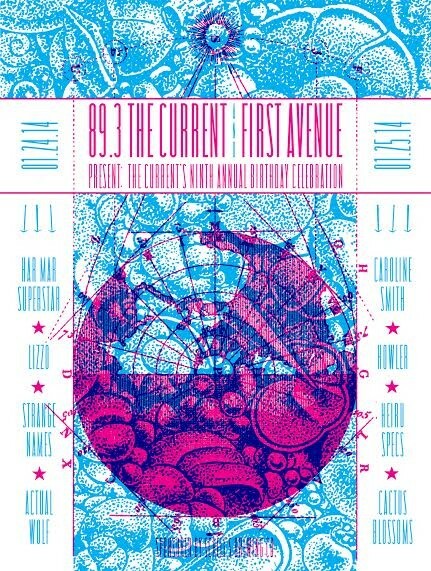 Minnesota's best radio station 89.3 The Current, Schells and Grainbelt Brewery connected with Pressed Merch and Johnny Quinine for the official 2014 9th Annual Birthday poster for the innovative radio station. Featuring the likes of Har Mar Superstar, Heiruspecs and Cactus Blossoms, the Current are nothing if they are not diverse and that diversity didn't stop at their Birthday Party bash. 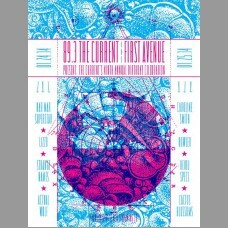 The first edition was available exclusively during the two-night event with a handful of artist proofs available here through Pressed Merch Dot Com.